Locofeast like the name suggests is a locomotive themed restaurant. As you enter the joint, you spot a wall with photographs of bullet trains and Ferraris. Walk in further and you see a model train and a car welcoming you. (Read perfect spot to take selfies). You can choose to sit wherever, but the most exciting part is when the food comes to your table on a bullet train or a car. We are not kidding you! Locofeast is the only restaurant in Chennai where the food gets delivered to you on a tray that is shaped like a train and a Ferrari, that runs on a conveyor belt. The train/car is fast and goes on 20 kilometers per hour speed. The entire system is pre-programmed and works on electromagnetic force. Once you take the dishes off the tray, the train/car goes back to the kitchen to get new stuff. Fancy AF! Talking about the food, the owner of the restaurant, Ramesh has a mix of everything - Chinese, Continental, and Indian. Have a little bit of wonton and soup together, when you order the Wonton Soup. While I devoured the crispy broccoli, my companion went all out with the Dragon Honey Baby Corn. We highly recommend their chicken lollipop that was high on flavour and spice. Just the way we like it! There's no dearth of options for cheese lovers - from cheese fritters to cheese pasta, there's quite a bit. We went with the classic penne -white-sauce-veggie-paste which impressed us with its creamy flavour. The chicken biriyani could do better with more flavouring. My companion gave a thumbs up to the Kaju Kadai which was filled with nuts and is a perfect choice to go with any bread you choose. For something spicier, try the Kadai vegetable. 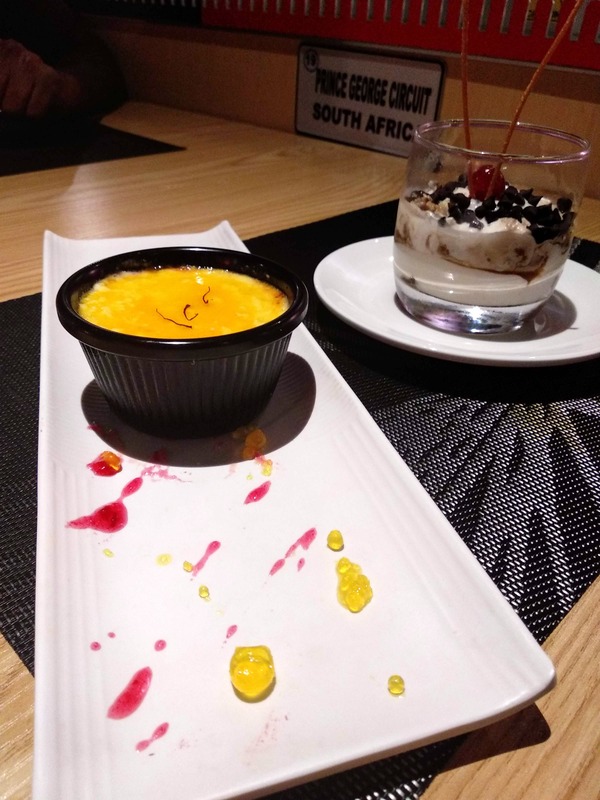 We ended the meal with Panna Cotta which was a saffron scented creamy dessert. Dig up the different layers of the Veneto Tiramisu to go on a sugar high. We suggest you give this restaurant a try and bring out the child in you each time the train/car comes to your table. It was strange to find the Kashmiri Kulcha come with strawberry puree as the filling. That was a first for us.